Waiting until after Labor Day to begin the new school year is a thing of the past. It is here in Florida anyway. Students attending public schools in the Sunshine State return to school a full three weeks before the Labor Day holiday this year. With the summer break now at an end, the time for back-to-school shopping is already at hand. So, too, is the time to make sure your child is as well-equipped as possible to begin the new school year right. Being properly equipped for school doesn’t just mean having the right notebooks, paper and pencils, however. It also means being in the proper physical state to succeed, which is why August has been designated Children’s Eye Health and Safety Month. 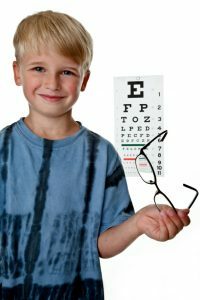 For anyone with school-aged children, it is always a good idea to devote a small part of the summer to getting your children’s eyes examined so that any issues can be corrected long before the first homework assignment is handed out. Through a brief eye examination, an ophthalmologist can not only detect common issues such as nearsightedness, farsightedness and astigmatism but less common diseases such as amblyopia (lazy eye), ptosis (drooping eyelids) and color blindness. It’s also possible for parents, friends and family members to detect potential vision issues. Wandering or crossed eyes are easily detected while complaints of sore eyes or headaches from reading, watching TV or playing video games can be a sign of trouble, too. There’s more to good eye care, though, than just getting an eye exam. Parents should also do everything they can to make sure their son or daughter is taking steps each day to avoid physical damage to their eyes. For example, it’s just as important for your school-aged son or daughter to wear sun glasses on a bright, sunny day as it is for you. And wearing protective eyewear during sporting and recreational activities should always be recommended, if not insisted upon. Many children may choose to ignore such recommendations, but before they do, they should know that children suffer the majority of the approximately 42,000 sports-related eye injuries that occur every year in the United States alone. With the school year already beginning, it’s wise to take steps now to ensure they are fully dressed for success.